I don’t know guys. I feel like there’s something fundamentally lame about chicken salad. Maybe I’ve had it at one too many bridal showers or “ladies luncheons”. It’s just so irritatingly…inoffensive? 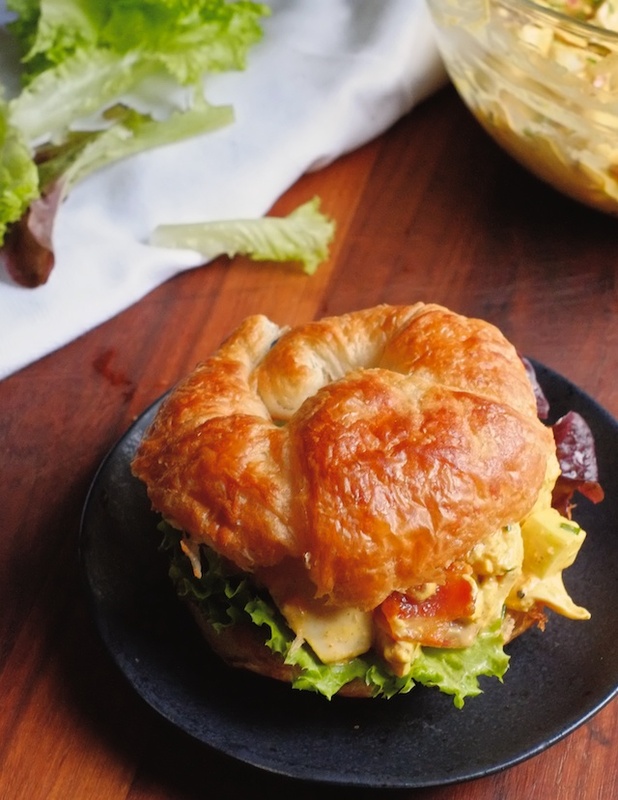 Honestly, I had a small crisis when I sat down to write this, because I vehemently didn’t want to be the type of person who blogs about chicken salad. I tend to over-think things to the point of stupidity. 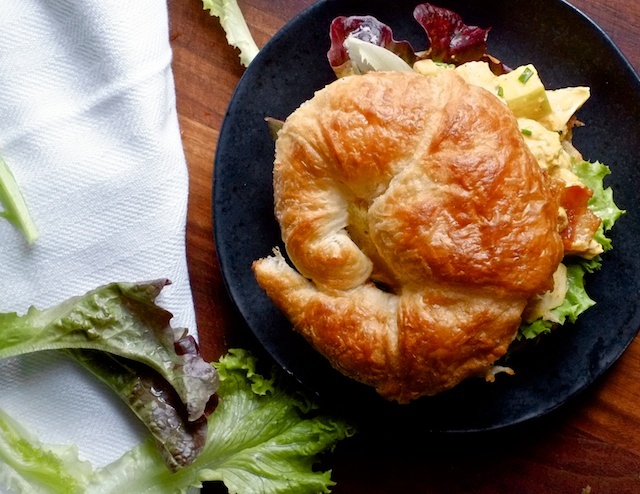 “Chicken salad blogger” is not a thing. Thankfully I got my bizarre ego in check and remembered that this chicken salad is delicious, perfect for lazy cooking days, and flavorful enough to be interesting, if not…offensive? What is my deal sometimes. For serious chicken salad tips, I turn to Ina. Woman knows her way around composed salads, which is something I think you have to master as a deli owner/caterer (and she was! before her famous TV chef days). At her behest, I began roasting split, bone-in, skin-on chicken breasts for chicken salad, and it produced such superior chicken, I will never do it any other way again. I choose the word superior because I dislike the “m” word (that ends in -oist), though that’s exactly what this is. 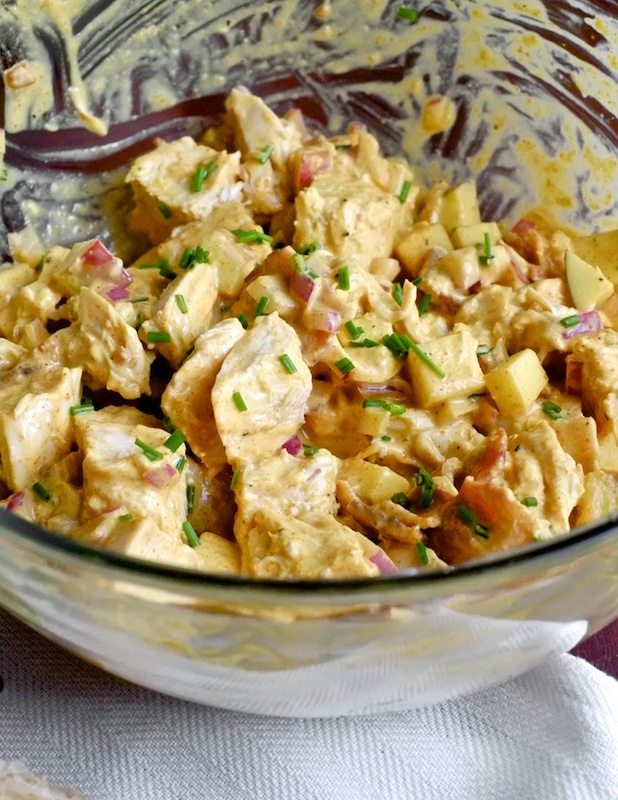 “Curried” chicken salad isn’t exactly cooler than plan chicken salad, but it is seriously delicious and it makes apples and bacon and onions really happy together. A salad fit for an innocuous lunch, that also happens to be awesome. I’m just going to go ahead and be a chicken salad blogger then. 1. Preheat oven to 350F, place chicken breast on a baking sheet, coat with olive oil and salt and pepper. Roast for 35-40 minutes or until cooked through. 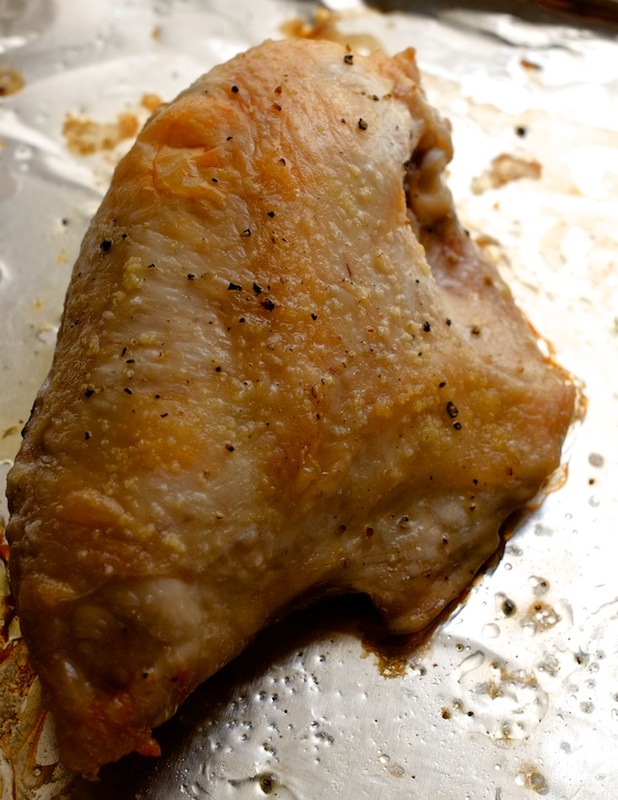 Allow chicken to cool, remove bones and skin, and dice into bite-sized chunks. 2. 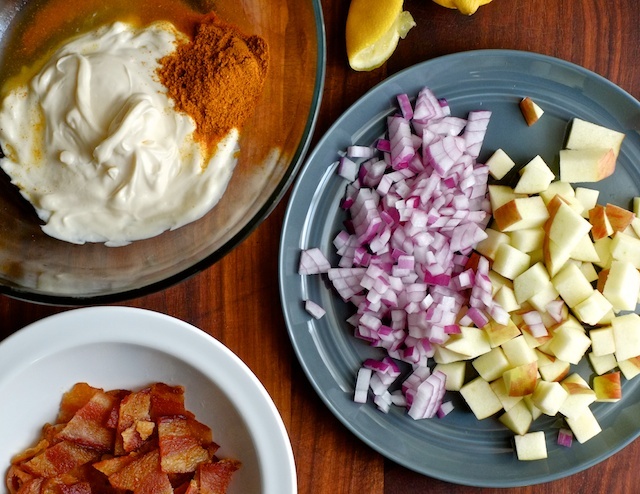 In a bowl, mix mayo, curry powder, lemon juice, red onion, apple, bacon, chives, and a pinch of salt. Add chicken and stir together to combine. Taste chicken salad and add more salt and pepper to taste. 3. Serve chicken salad immediately (or chill it for a few hours, it’s good either way) with crackers or on a sandwich with lettuce if you like. Very fun read and looks delish- especially the chicken salad!